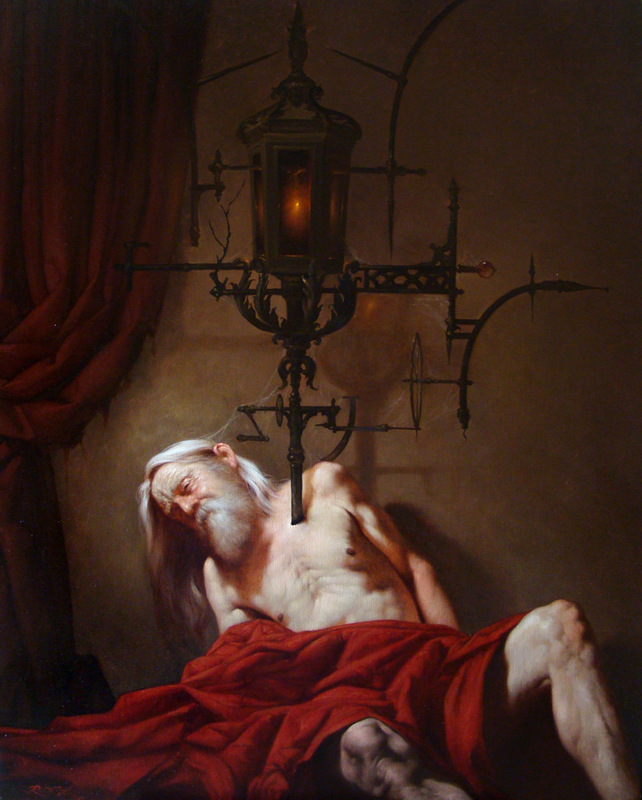 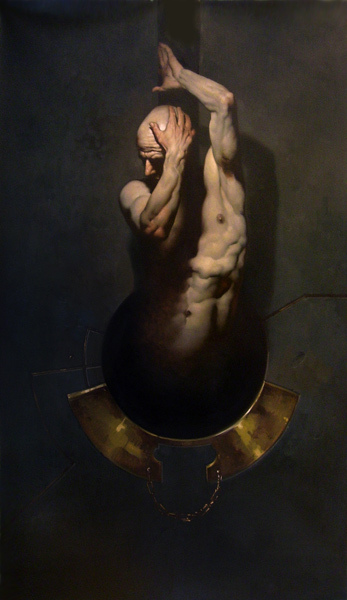 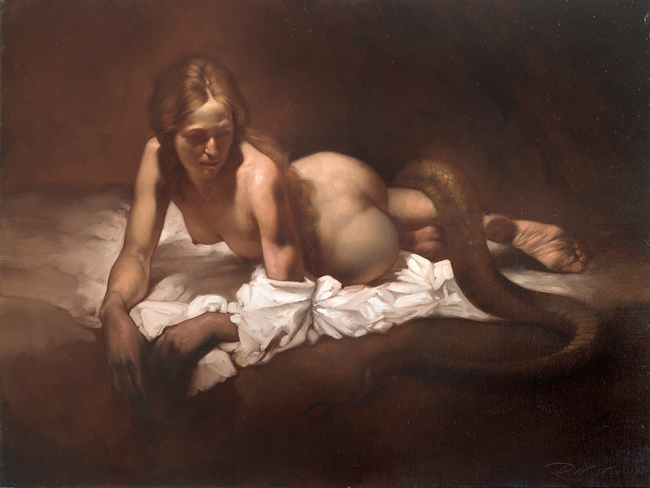 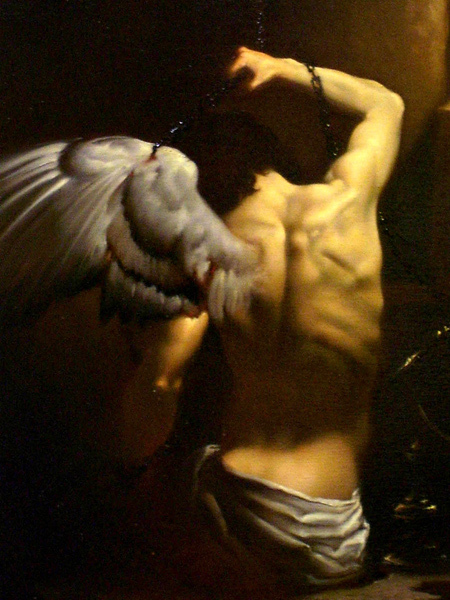 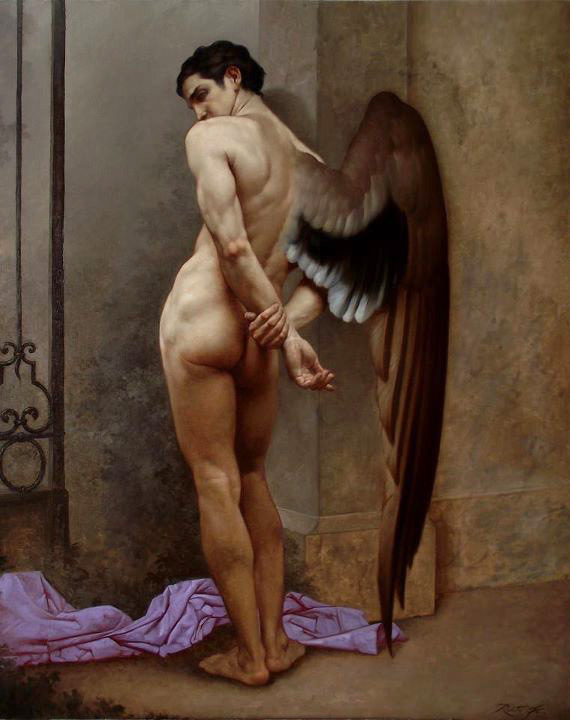 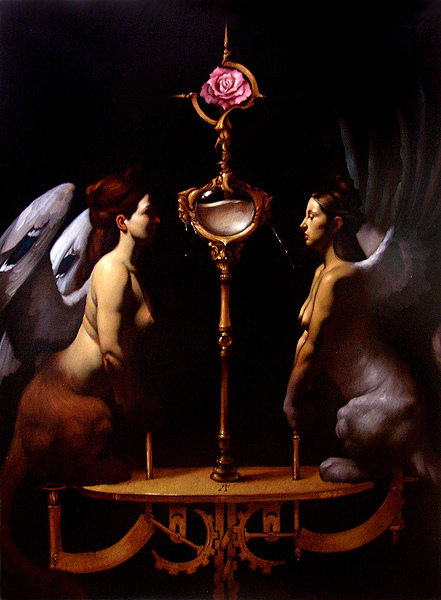 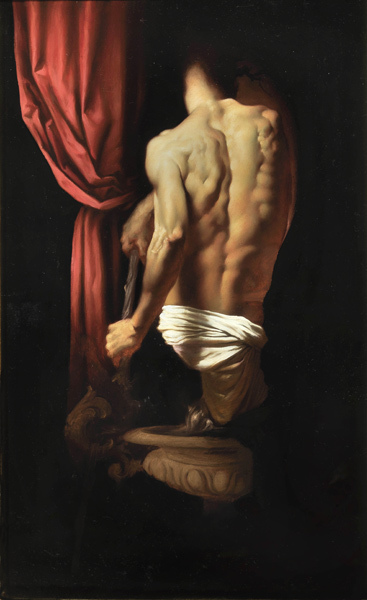 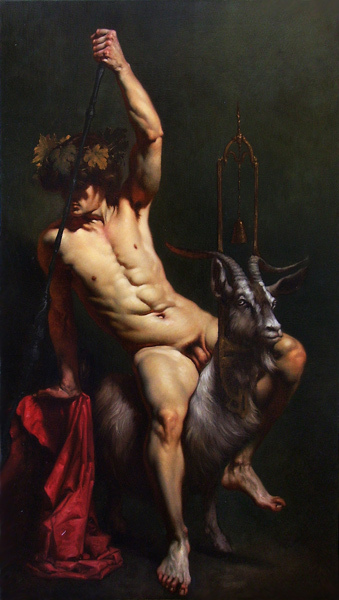 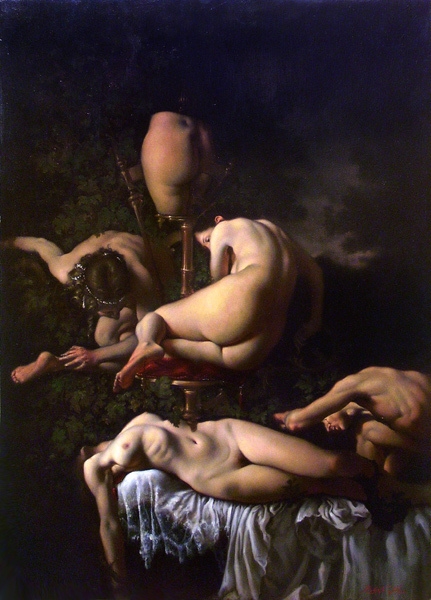 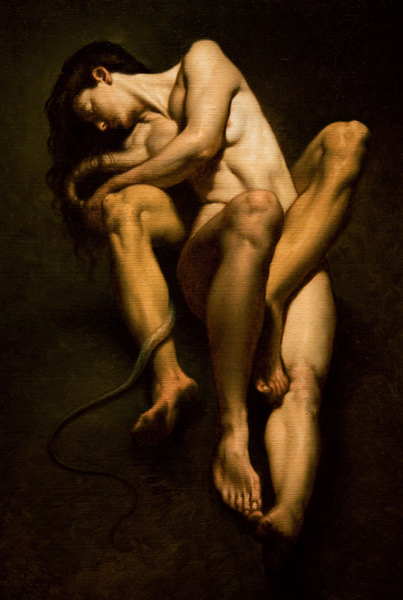 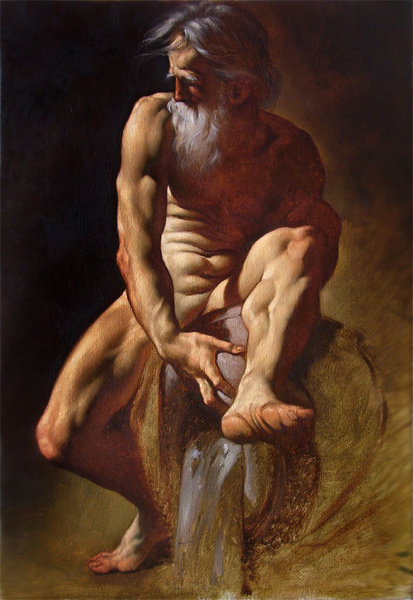 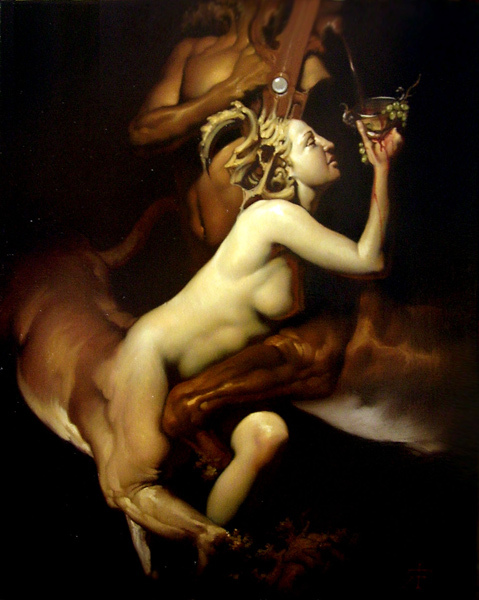 Roberto Ferri is an Italian artist and painter from Taranto, Italy, who is deeply inspired by Baroque painters (Caravaggio in particular) and other old masters of Romanticism, the Academy, and Symbolism. 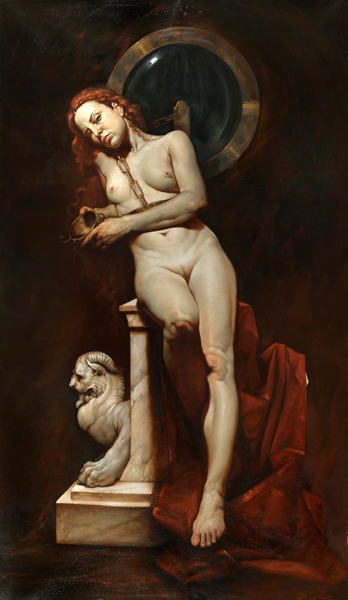 His work is represented in important private collections in Rome, Milan, London, Paris, New York, Madrid, Barcelona, Miami, San Antonio (Texas), Qatar, Dublin, Boston, Malta, and the Castle of Menerbes in Provence. 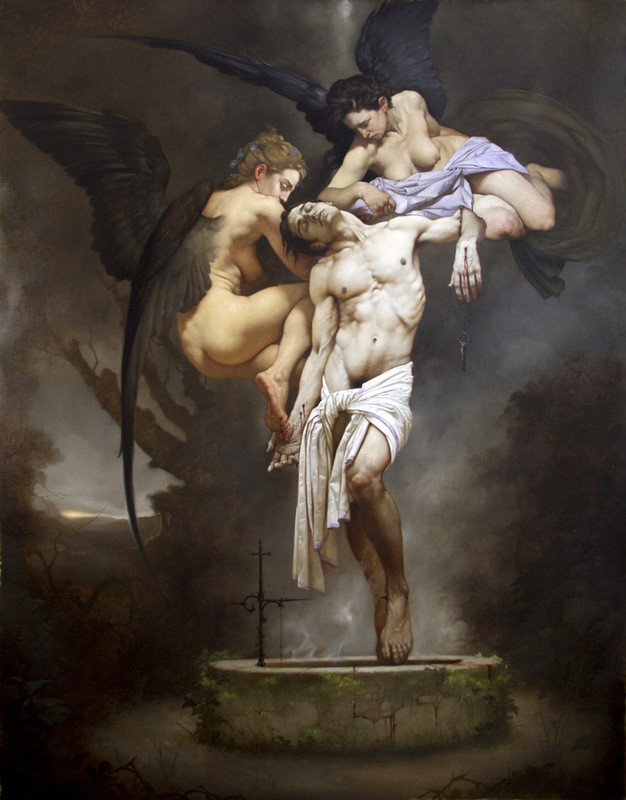 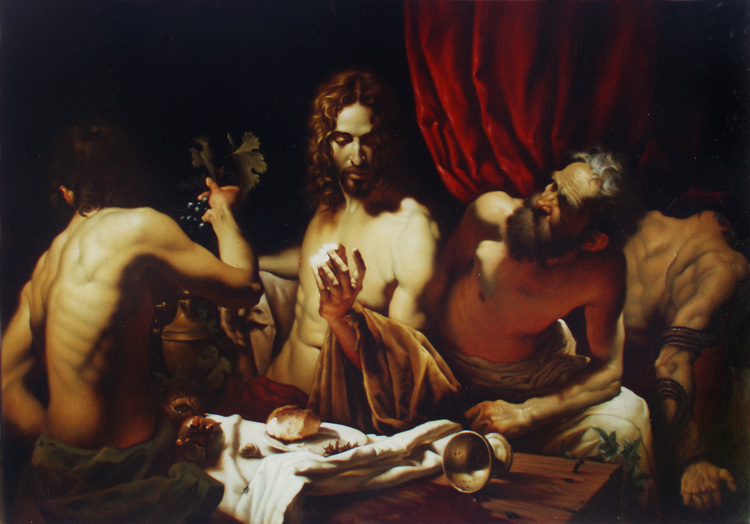 His work was featured in the controversial Italian pavilion of the Venice Biennale 2011, and has exhibited at Palazzo Cini, Venice in the Kitsch Biennale 2010.